Arturo Fuente’s Gran Reserva line is one of the bestselling cigar lines in America. Arturo Fuente Gran Reserva Maduro cigars show how something as simple as switching to a different wrapper leaf can completely change the entire profile of a cigar. Like the Arturo Fuente Gran Reserva Natural line, they are made up of Fuente’s own Dominican fillers and binders and aged in the traditional Fuente style. Carlos Fuente Jr. chose to wrap the Gran Reserva Maduro in a silky US Connecticut broadleaf Maduro wrapper. The result is an instant classic beloved by cigar smokers around the world. Gran Reserva Maduro is a medium to full bodied smoke ideal for the seasoned smoker, or the beginner searching for a more robust smoking experience. The toothy, Broadleaf Maduro-brown wrapper supplies warm flavors reminiscent of toasted marshmallow, but not overbearingly sweet. The mellower, Dominican tobaccos provide notes of vanilla, spice and dried fruit to heighten your incredible smoking experience. 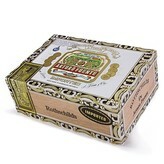 Most recently, I purchased the Gran Reserva Rothschild in a cedar box of 25 online from elcigarshop.com. The very reasonable price and high quality of the cigars allows me a good month of stogie enjoyment. I usually pair the Gran Reserva with a medium bodied bourbon or a red wine with the same type of vitality. Eagle Rare Straight Kentucky Bourbon Aged 10 Years has notes of vanilla and toast that compliment the sweet, spicy aromas of the Gran Reserva. An excellent duo to reward oneself after a long day. Relax and revel!